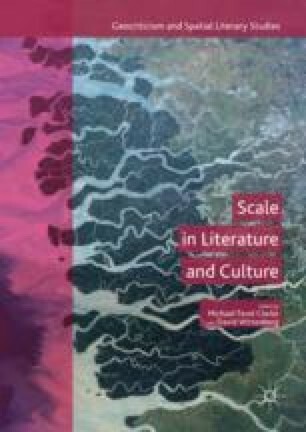 This chapter seeks to rethink existing definitions of world literature in relation to theories of scale and the project of cognitive mapping, elaborated by Fredric Jameson and others. Recent accounts of world literature implicitly exclude what Jameson and others call totalizing aesthetic—one that tries to imagine a stable relation between subjective experience and systemic determinants, taking into account contemporary capitalism’s global-scale social relations. In contrast, this chapter defines world literature as contemporary literature that totalizes. Totalizing literature today is by necessity world literature, because its totalizing impulse must somehow give figuration to the global scale of social relations; moreover, totalizing literature makes the literary scale of the world into a site in which social contradictions can once again be articulated and analyzed.